You're probably thinking of Delta cams. 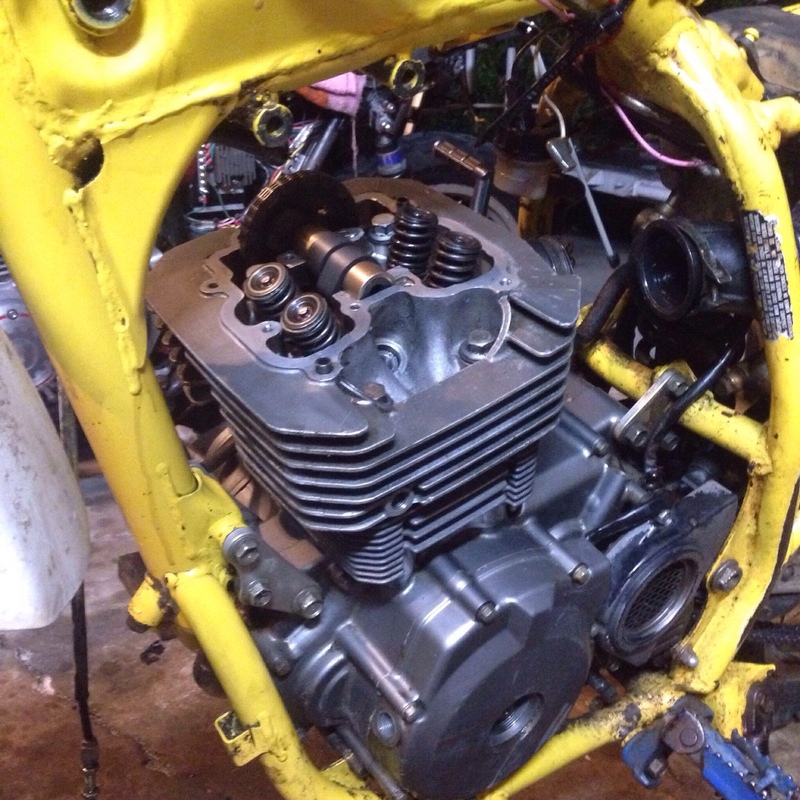 I did just the intake lobes on a KZ440. It took a lathe , tool post grinder, die grinder, file , emery clothe and a degree wheel. And it took many hours. crap. that's what i figured. They are a Megacycle cam with a pretty radical .465" lift. I talked to them and they said they could repair it for $400 but for that much money I would prefer to pay a little more and get a milder grind. I have bought a lot of Megacycle cams over the years and they do a better job that Norris used to. Small motorcycle cams have to be a complete PIA to work on with low volumes, lots of variations and everyone wants something different. Over the years we tested every grind that Norris made and they came up with a special grind for us that Jim at Megacycle still makes when we need it. He also came up with a really nice 180 degree CB175 special cam with different timing than their regular cams. They ain't cheap, but I know I get a good cam from them and that has a value. With cams that only have journals at the end, I have had them grind them down and slip on needle roller inner races to run then needle rollers, but that won't work for journals between lobes. But to put all that into some sort of perspective, I am yet to meet a cam that is identical on all the lobes that should be. Close yes, identical, not yet. OEM Honda cams are pretty damn close though. Mind you I have a CB72 cam here somewhere brand new - well NOS now - that has the wrong grind on one cam lobe. Not sure how that happened or how it got out in the wild. Stuff happens when people are involved. With cams that only have journals at the end, I have had them grind them down and slip on needle roller inner races to run then needle rollers, but that won't work for journals between lobes. This is what I did for my DR350 head. These heads notoriously burn up, so they've become rare and quite expensive to buy. I good used head, bare, can cost upwards of $400 - $500. I've seen them NOS at $700 plus. I bought the bike with the bad head and set out to make it right. 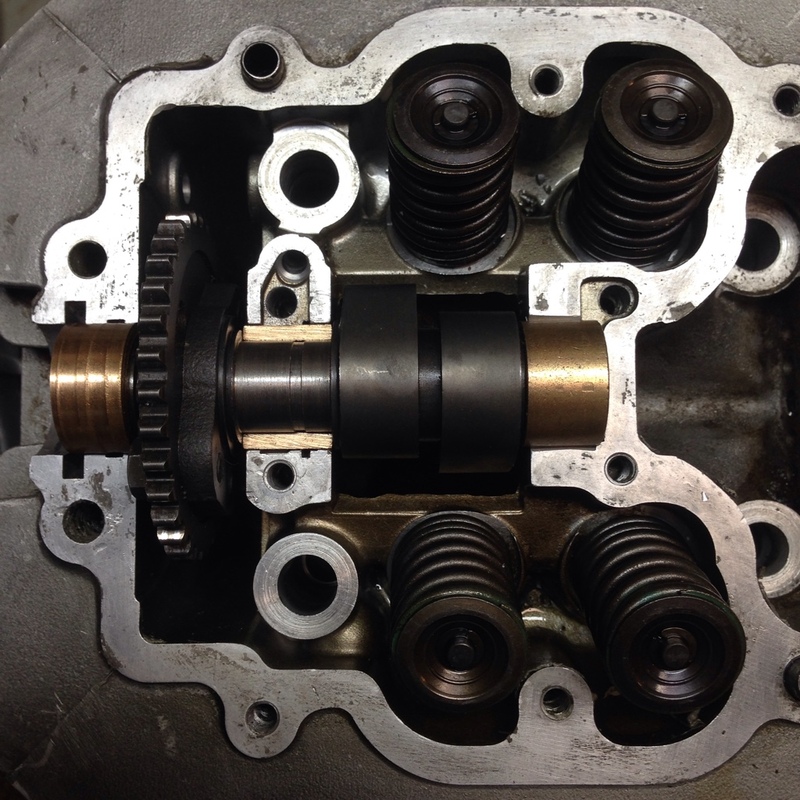 To make it work, the head needed to be bored to remove the bad journals and to get enough OD for the bearings. The journals on the cam itself were also machined to an ID that would take the bearings. The inner bearings are 18mm x 24mm and the outer bearing is 18mm x 25mm. I did two versions of the head. One with needle bearings on the outside journals and oil bronze inside and one with all oil bronze. 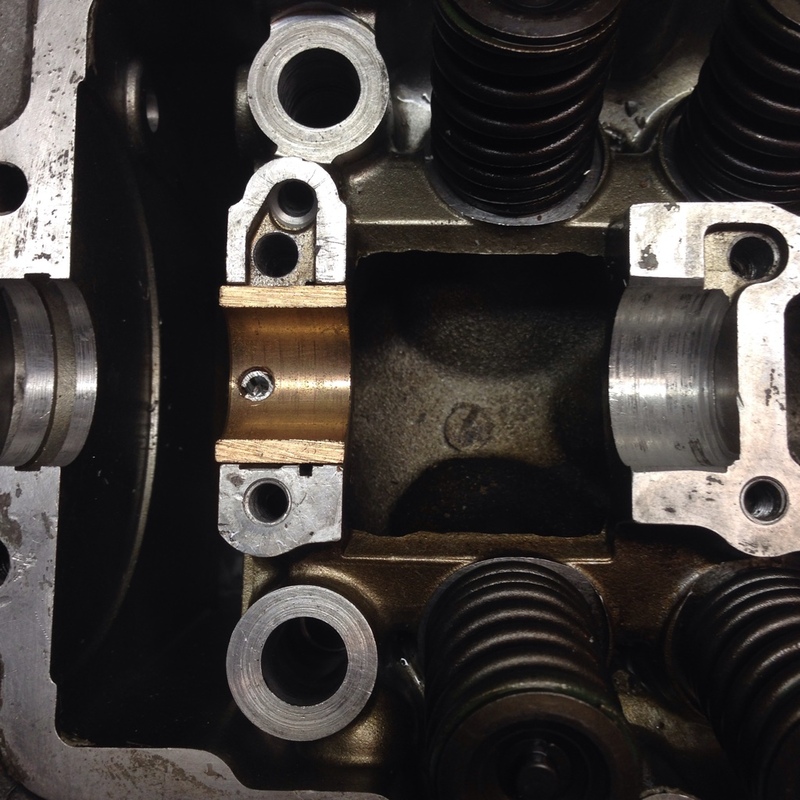 At the 1500 mile interval, the tappets remained in spec. I contacted the guy I bought these cams from and he claims he didn't know the status of the cams because he bought them used and never took off the wax. He gave me these forged venolia pistons and cylinder bored to match. 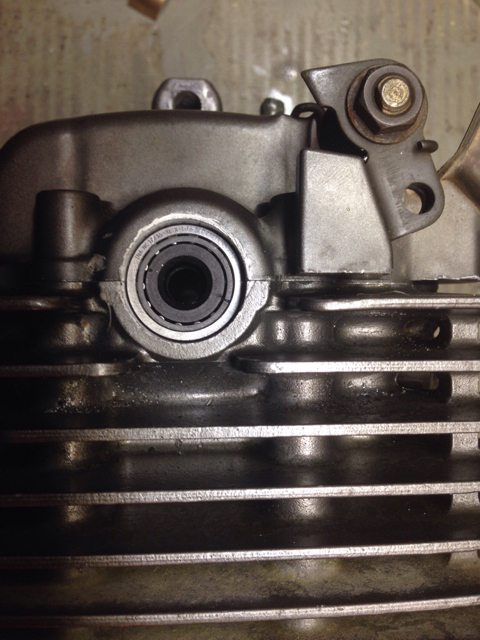 Stock bore but 10.5/1 compression. They look useable but a little rough as well. I think they can be dressed up with new rings to work good. It all worked out for the best because those cams weren't suitable for a street bike, but these pistons will be great for the hot motor I want to build. Looks to me like things were stored in boxes that got wet? Quite possible he didn't know cams were bad? 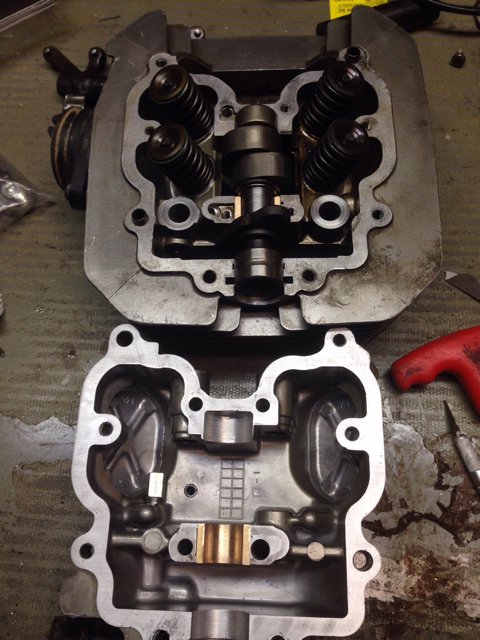 Fortunately the cylinders bores look in pretty good shape. I cleaned out the old grease to inspect them and then smeared a fresh coat on there for the time being. I think Megacycle just pull numbers out of their asses? Prices seem all over the place and have for several years. Personally I feel they are just severely overpriced as cam grinder is same as automotive one ( swapping templates around doesn't seem that difficult from what I've seen) Specialising in motorcycle cams will be a bit more expensive than knocking out a few hundred small block Chevy cams but not the amount they want. Part of their pricing problem is doing what they do in California. I have had long conversations with Barbara and Jim about the cost of everything from electricity to waste disposal. They have to make a minimum of 150.00 an hour or they aren't making enough for payroll etc. Their prices are high no doubt ( Retail 535.00 for hard weld SOHC cam/94.00 ea for rocker arms as of today) but I do think the quality of their hard welded rockers and cams are better than WEB etc. Guys from Delta Cams agreed. Famous last words..."Why are those low flow figures so low? " 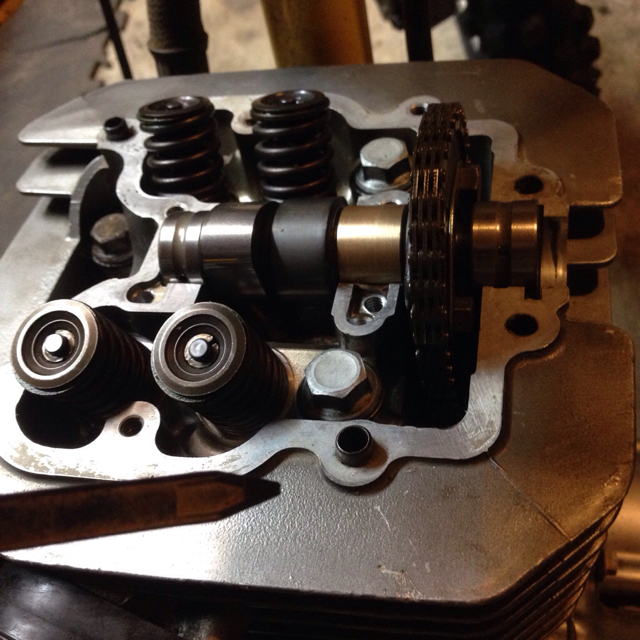 Megacycle is my cam of choice for my XL500/ Ascot roadrace motors with the hardfaced and reradiused rockers. Never had a problem as long as I run good oil.